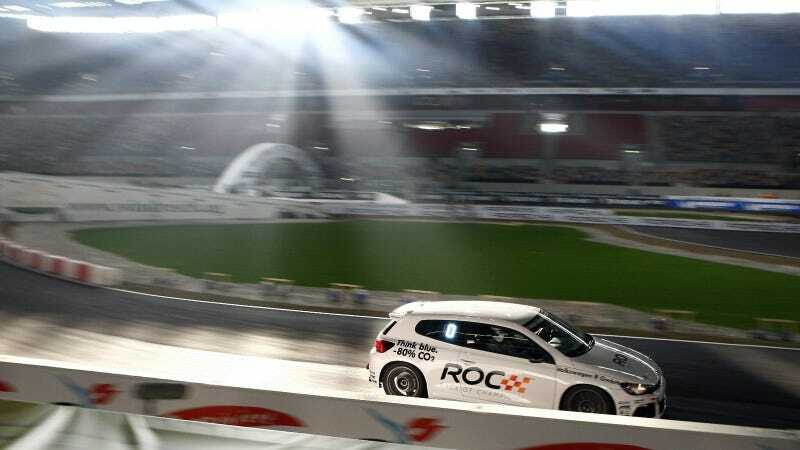 The Race of Champions (not to be confused with the defunct IROC series) is nothing but pure insane racing fun. This year Schumi, Button, Ekström and others will test their limits in the VW Scirocco R-Cup car. Good choice.